In this review of Forex Maverick review we explain why you should not trade with this scam. It is presented by Frederick King. According to King, Forex Maverick is the world’s most accurate EA trading software. This software allegedly can make you over $100,000 in one year. Truth be told, Frederick King is just an actor and scam artist, he certainly is not a trader. And Forex Maverick is of course a scam. Or do you believe that “the most accurate EA trading software” is free? Should King be a real trader with a great reputation, you would find his name all over the Internet. But there is no trace of a famous trader of this name, do the search. One of the things that show that everything on the Forex Maverick website is fake, is the news. Look at the picture, these are supposed to be headlines from media, but they aren’t. These links lead nowhere! Moreover they are automatically rewritten based on what country you access the website from. So these are fake news headlines. The same applies to testimonials, they were made with paid actors who have never really traded with Forex Maverick. So far it seemed that Forex Maverick is a Forex scam, but in reality it is a binary options scam. 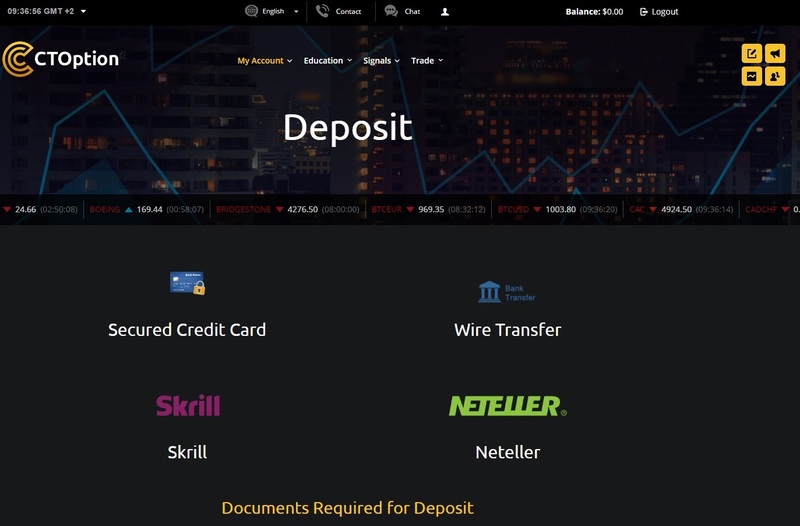 Because after registering we were redirected to a deposit page of CT Option, which is an unregulated binary options broker! So here we go with another scam that abuses binary options. How? It is very simple, people who are behind Forex Maverick are affiliated with CT Option, they are getting paid by this broker for referring new depositors. This is how they make money. This is why they won’t let you use the software until you deposit money and make them earn their affiliate commission. 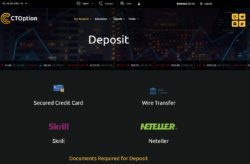 Based on our experience we can safely assume that after you deposit, you will be given a worthless trading software that will lose your money in trading, because this is how all the scams work. 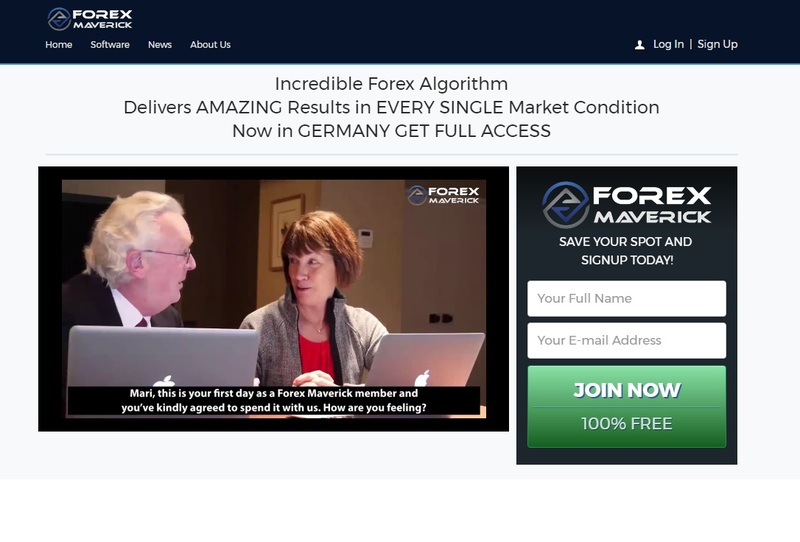 Forex Maverick is a masked binary options scam. It’s only purpose is to make you deposit money with a certain broker, it is not free. Stay away from it! If you want to try binary options to see how traders really make money, do it on a free demo with a regulated broker. On this test account you can learn to trade. Start trading with real money only when you achieve consistent profits on the demo.